Organizations are always striving to be better, meet their customer’s ever-rising demands, and remain competitive. There are many methods, practices, and philosophies in which they engage to achieve this (Innovation Management, Continuous Improvement, Lean Manufacturing, 6-sigma etc. ), and organizations invest heavily in tools and consultants to implement these effectively. One of the often overlooked methodologies is BPM (Business Process Management). Organizations, when asked, will normally state that they feel their processes are under control, but if asked how they make sure they are constantly improved and modified to meet changing needs; their answers get a little blurry. It turns out; most organizations do improve their business processes, but usually as a reaction to a problem. Even though they engage in some of the above mentioned improvement methodologies, they are usually product and service centric, and not Business Process centric. They lack the tools and culture to proactively engage in Business Process improvement like they would in their manufacturing and service delivery processes. If we follow the WikiPedia definition for BPM (Business process management is a holistic management approach focused on aligning all aspects of an organization with the wants and needs of clients), we realize that Business Processes actually govern all other processes engaged in by organizations. We actually need business processes to accomplish all other processes in the business cycle. 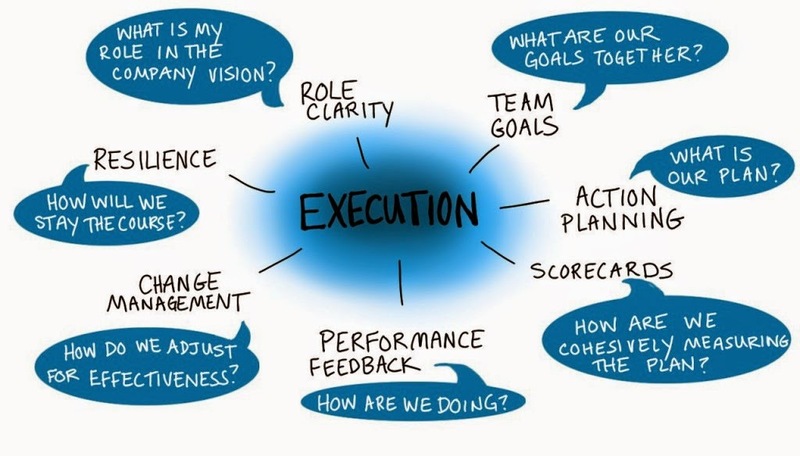 Most organizations will have tools and procedures to enable their team members to identify and execute on improvement opportunities in their products and services. This is because of tangible gains (normally reflected in the bottom line) to be had with the execution of improvements. The tools used will ensure the improvement is captured (process flows, instructions and standards are updated in central repositories), communicated, and translated to the bottom line. The tools and processes used ensure teams impacted upstream and downstream are in-the-loop. However, organizations seldom invest in tools and expertise to effectively manage and improve their business processes. A major reason for this is that they do not look at business processes as being equal to, or more important than a manufacturing process. The benefits of improving these don’t automatically translate to the bottom line, and thus organizations usually do not take a proactive approach to improvement. Problems with poor business processes are usually reflected in wasted time (usually made up by employees working overtime), and are normally not addressed unless they have an adverse and measurable effect on the bottom line – sometimes leading to a real line-stoppage (i.e. : someone did not place an order for parts using the ‘new process’). Just like a manufacturing process flow-chart maps the flow of material and value-add activities at each station in the process, the Business Process Map shows the flow of objects (Usually Information) and activities performed at each step. There are specific sets of instructions, standards, documents, roles and resources related to each process step. The business process map becomes the standard baseline from which change can be made. The result of not having Process Maps can be illustrated by team members having poor knowledge of upstream and downstream processes and how they fit into them. This in turn makes it hard to identify upstream/downstream areas that will be impacted by change, as well limits the ability to measure and justify change (specially improvements). This normally means Status-Quo is the rule, and change is only initiated after a business ‘catastrophe’ occurs. Dept. B changed a form, and everyone in Dept. B. knows. Mr. X from Dept. A. uses the old form and submits to Dept. B.
Mr. X is told the form is outdated and has to resubmit it to Dept. B.
Mr. X now warns his Dept. A. colleagues to make sure they use the new form. Effective communication tools and methods are critical to ensure everyone relevant to a change is instantly made aware of the change and the impact to their work. In conclusion, when looking to improve your business processes ask yourself this: Do I have a documented process standard (typically process maps), and the right communication tools in place to ensure changes and their impact are immediately known across the organization? Posted on Wednesday, April 10, 2013 by George R.
Bren, We only change when we learn and want to or hurt and have to... I follow the three C's of Design Thinking - Cindy Tripp, Catherine Courage and Cristi Zuber. All three have helped their organizations become proactive in understanding customers. I never say listening to because the engagement needs to be deeper. The word I prefer is Empathy... I even capitalize it because it's that important. The fact is if you don't start by reframing each problem you will always end up with a sub optimal result. You can spend your time in Detail, Decision or Design. Only empathy driven design leads anywhere new. The other can lead you to incremental improvement at best.